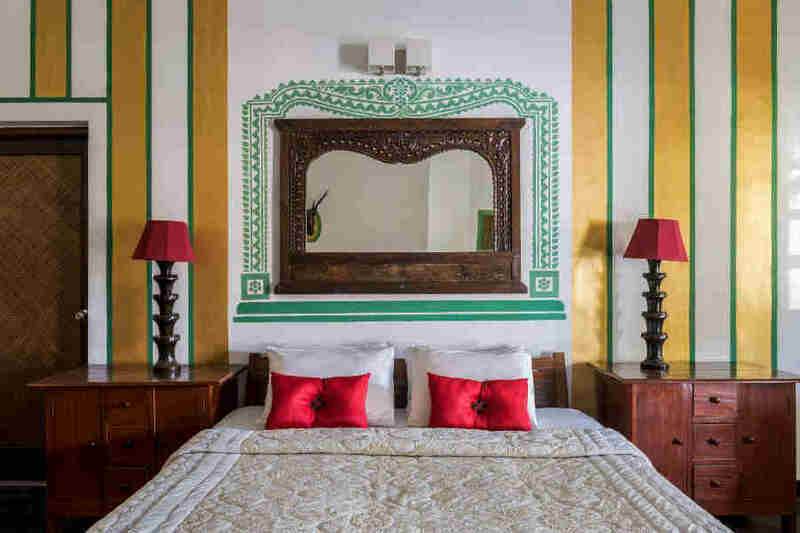 Use the form below to inquire about Boutique Hotel Near Baga Beach . 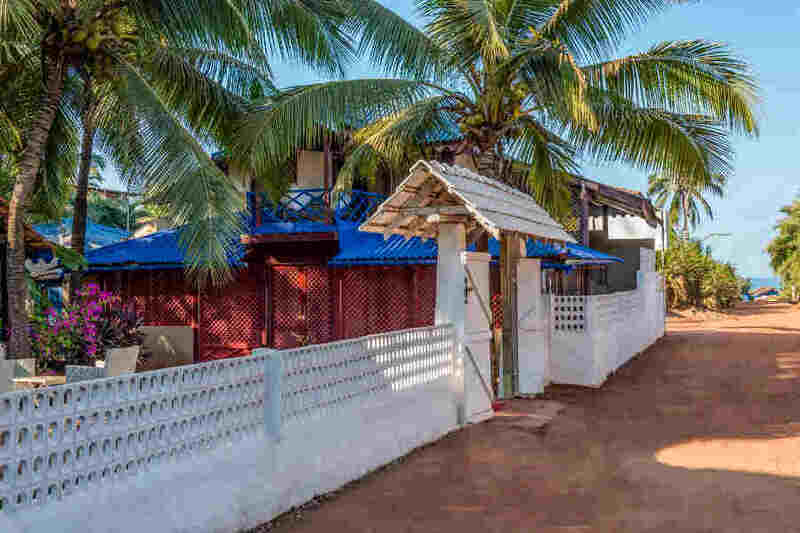 Use the form below to reserve for Boutique Hotel Near Baga Beach . How much is 8 + 3? These rooms are located on the ground, or first floor and have the garden, pool or restaurant views. The rooms are furnished with queen size beds. These rooms are located on the ground, first or second floors and have the garden or partial sea views from their private or common sit outs. These rooms are located on the ground, first or second floors and have the garden or restaurantviews from their private or common sit outs. 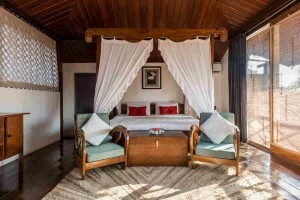 Enjoy the ultimate Goan experience at this Boutique Hotel Near Baga Beach which is a calm oasis amidst the party scene. 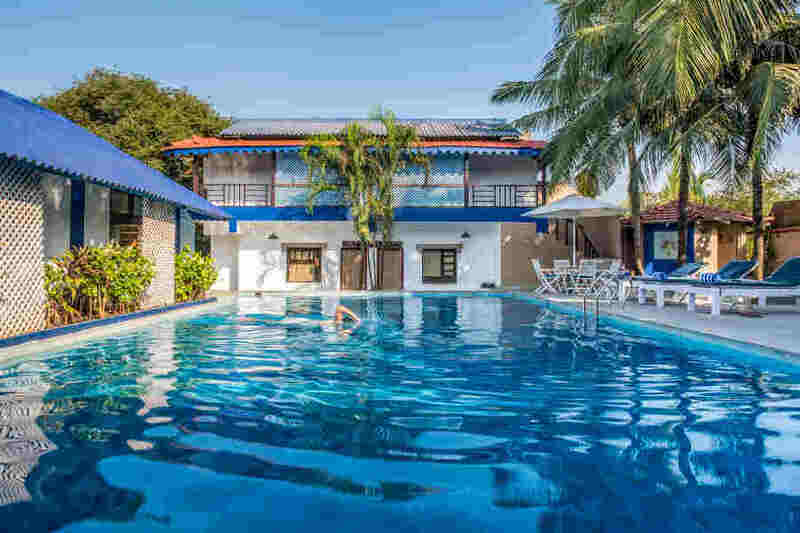 Tucked into a tranquil and verdant landscape, this Boutique Hotel Near Baga Beach is a stone’s throw away from the bustling beach popular for its beautiful stretches of sand, parties, nightlife, and adventure sports. 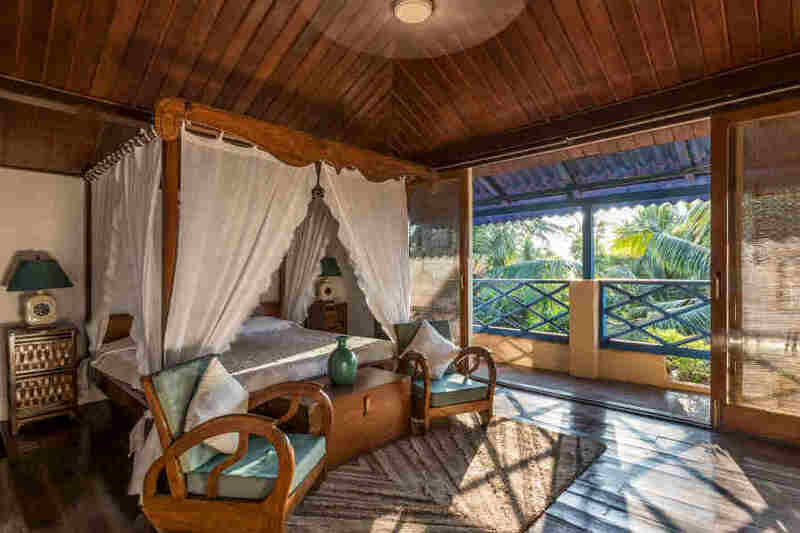 Though surrounded by night clubs and cool hangouts, this hotel is in a world of its own where coconut palms gently sway in the lap of a sleepy village. It is the perfect abode to chill after a shopping spree, thrilling water sports, or a crazy night out partying. 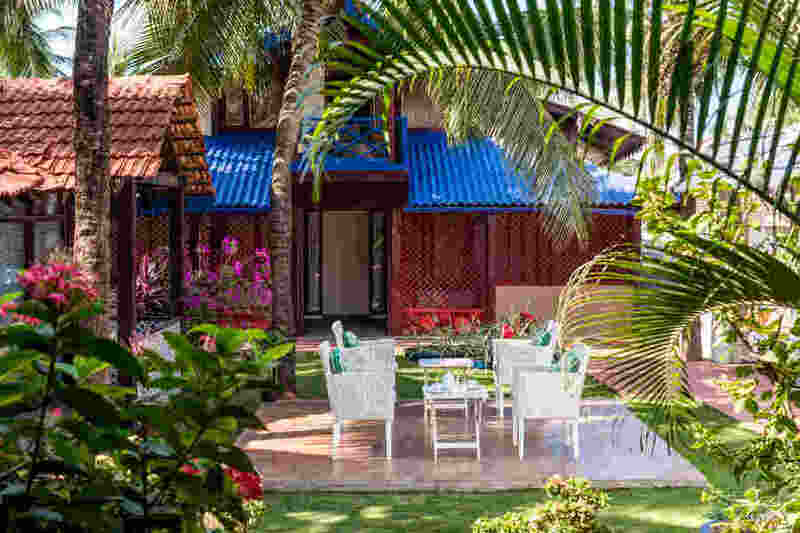 This Boutique Hotel Near Baga Beach exudes welcoming warmth with its well-maintained garden and manicured lawns reminiscent of a typical Goan residence. Rustic and traditional elements are incorporated in the structure such as the exposed red stone pillars, wood fiber screens, wooden grills, terracotta roof, and cane furniture. 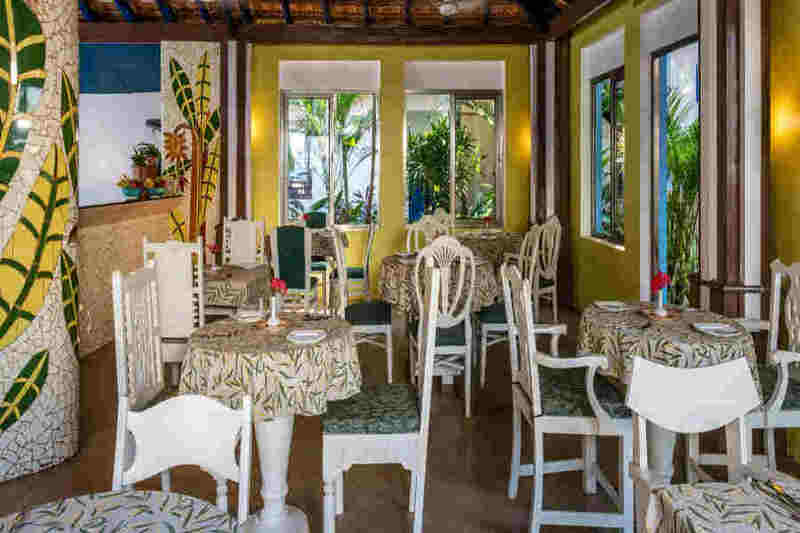 Given its proximity to Tito’s Lane, the famous nightlife and party hub of Goa, it’s not surprising you get to see sparks of this in the restaurant décor. The ambiance is playful with broken mosaic paintings in bright tropical patterns and shades. Chefs prepare energizing meals for all types of party animals. Goan, Indian, and various international cuisines are served at this restaurant featuring elegant seating. 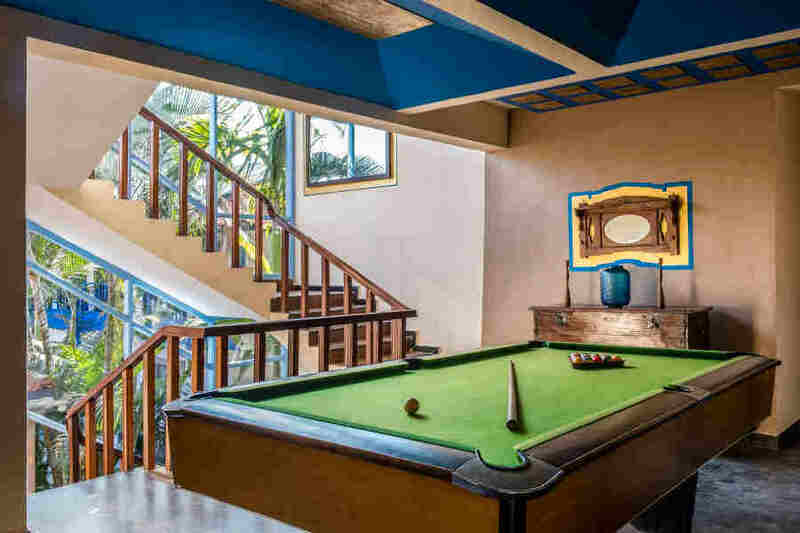 The swimming pool and the pool table are great spots to make new acquaintances and have some fun. 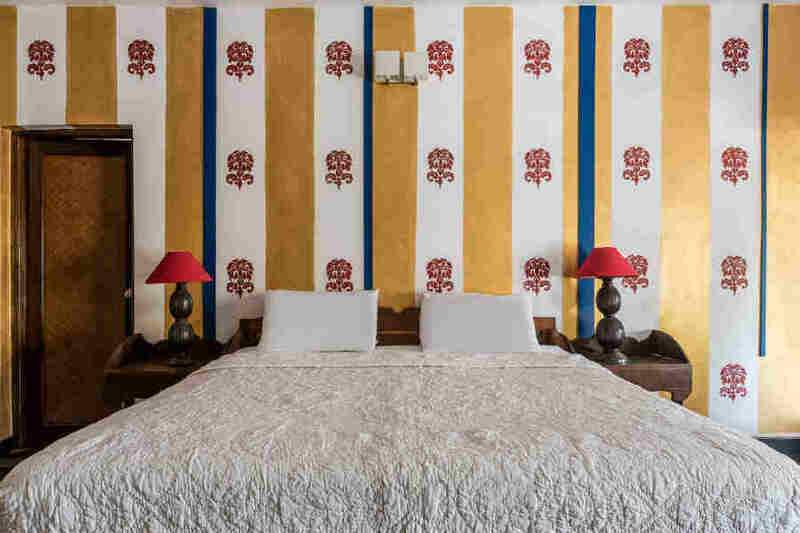 This Boutique Hotel Near Baga Beach has 26 rooms divided into Special, Favourite, and Star categories. There is also a villa annexe which is perfect for families and small groups. All the rooms are spacious and feature hand picked décor. From four poster beds to old world chests and hardwood chairs, you can have them all. All in all, the best place to put your feet up after a few rounds of adrenaline pumping fun, Goa style! Room tariff is per night on a double occupancy basis inclusive of breakfast. Extra adults will be charged separately. Some activities are charged separately. Extra adult charge Rs:1500 net per night inclusive of breakfast and taxes. No refunds/Cancellations on the periods of 26/12 to 3/1 and long weekends. TV with cable connection in each rooms. Soak up the sun on the poolside deck at the hotel or Indulge in a fun game of pool. Lounge on the sandy stretch of Baga beach or explore some of the water sports like kayaking, banana ride, bumper ride, or water skiing. Parasailing and paragliding are some ways to get a spectacular birds’ eye view of the beach as you fly high. The popular Calangute beach is also close by if you want to check that out as well. Tito’s Lane, the throbbing night life hot spot adjacent to the hotel, comes to life around sunset. Quite a few other pubs and night clubs such as Mambo’s and Kamaki are also found in this party zone. The area is a shopper’s dream come true with plenty of jewellery and souvenir stores. The Snow Park is a stone’s throw from the hotel and promises fun for the entire family. Snow slides, sledges, snow dancing with DJ music, igloos, and snowball fights are just some of the things that await you here. Award winning restaurant Fiesta is at walking distance from the hotel and you can request the management to book a table for you. Goa International Airport at Dabolim is the nearest at a distance of 40 km. Mangalore International Airport is 395 km away while Kempegowda International Airport, Bangalore, is at 625 km. Thivim railway station at 15 km is the nearest to Baga. Vasco da Gama is at a distance of 40 km while Madgaon railway station is 51 km away. Bangalore railway station is 603 km away. Goa’s capital Panjim is about 18 km away while Madgaon is at a distance of 49 km via NH66. Bangalore is at a distance of 603 km via NH48.